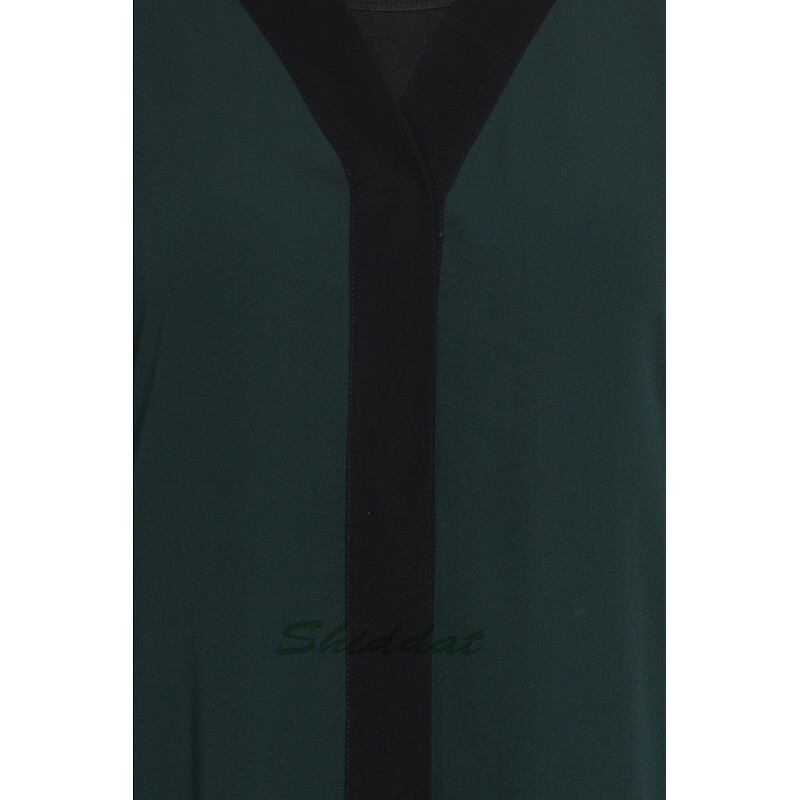 This Beautiful Front open abaya is simple yet very Elegant and trendy at the same time. This abaya is made with Blue & Grey- Premium Nida Fabric, This Is Front Open With Neckline Abaya. Crafted in Nida fabric with a slight sheen, this front open abaya is perfect for dressy occasions calling for an elegant, modest look. The abaya is tailored from wrinkle-free Nida fabric. Package content-1 piece [Abaya ]. The package will NOT include the accessories like scarf or bag/ purse carried by the model.